1. 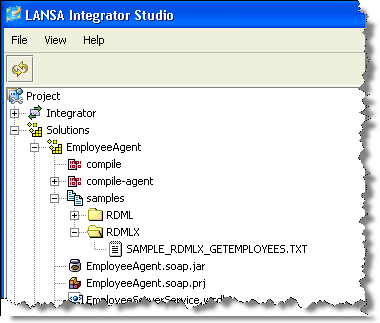 In the LANSA Editor, from the File menu, create New / Basic Form, iiiFRM04 – Get Employees using SOAP. Create the form as RDMLX enabled. 2. In Integrator Studio open your iii SOAP Tutorial project. Locate the RDMLX code generated for your EmployeeAgent solution and open it in the text editor. See file SAMPLE_RDMLX_GETEMPLOYEES.TXT. including the code shown, into the event routine handling #phbnGetEmployees.Click in your form. 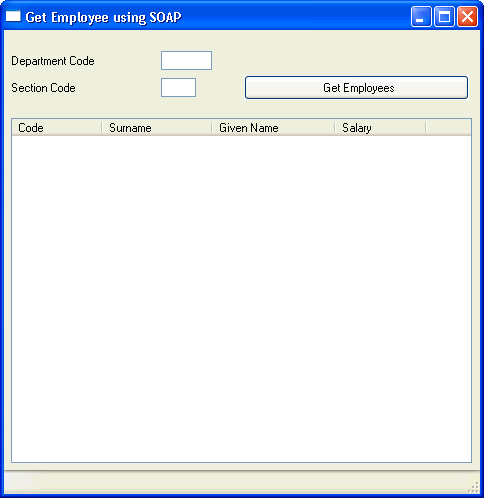 This will provide most of the logic needed to call the SOAP service as described in the previous step. 7. Compile your form. There is nothing else to do. You will test your changes in the next exercise.